Situated in the limits of Gharghur, this Villa is found in a tranquil area, to add to the serenity of this haven, the Villa is surrounded by its own garden, complete with swimming pool. At ground floor one will find a kitchen, living/dining, bathroom and stairs to first floor leading to 3 bedrooms, where upon one will find two bathrooms and a balcony extending from bedroom 2 and 3 overlooking the front garden area. From roof level the property boasts truly panoramic sea and country views and beyond the island of Gozo. 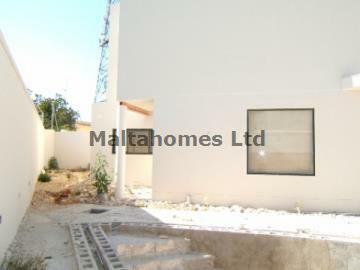 The property can be finished by our client if desired and would make upon completion a superb family home where one can enjoy the comfort of your own private pool area and entertain friends and family at one of Malta's sought after residential addresses.